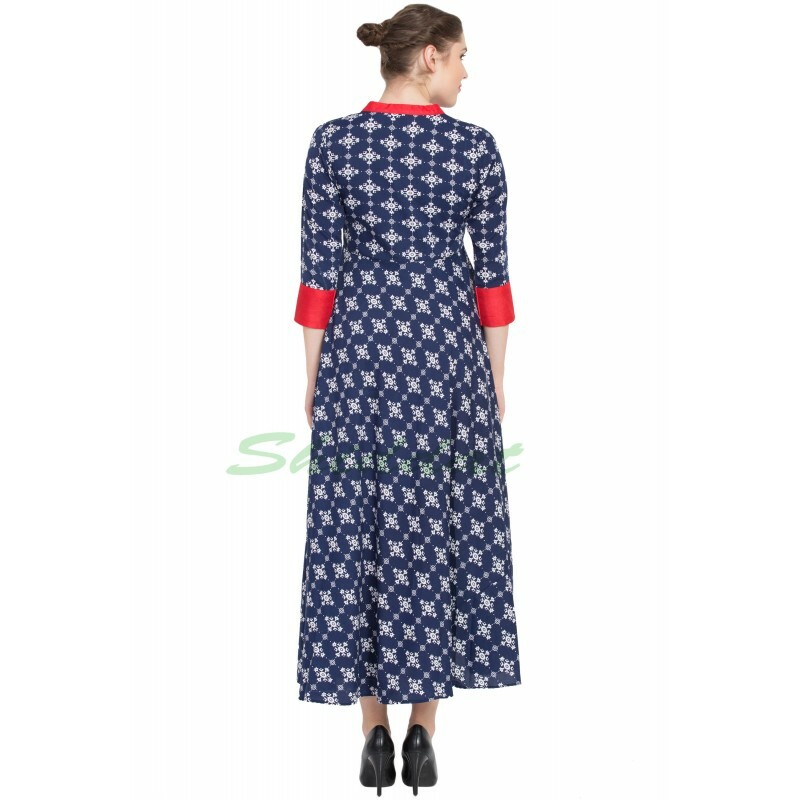 Meticulously tailored Asymmetrical Dress silhouette in poly-crape fabric, this long full-flared dress for women with white printed design merges elegance with contemporary style. It has a round neck, three-quarter sleeves, flared hem. Ironing can be done at low heat. Disclaimer- Color of product may slightly vary depending upon the resolution of the device in which the image is viewed. 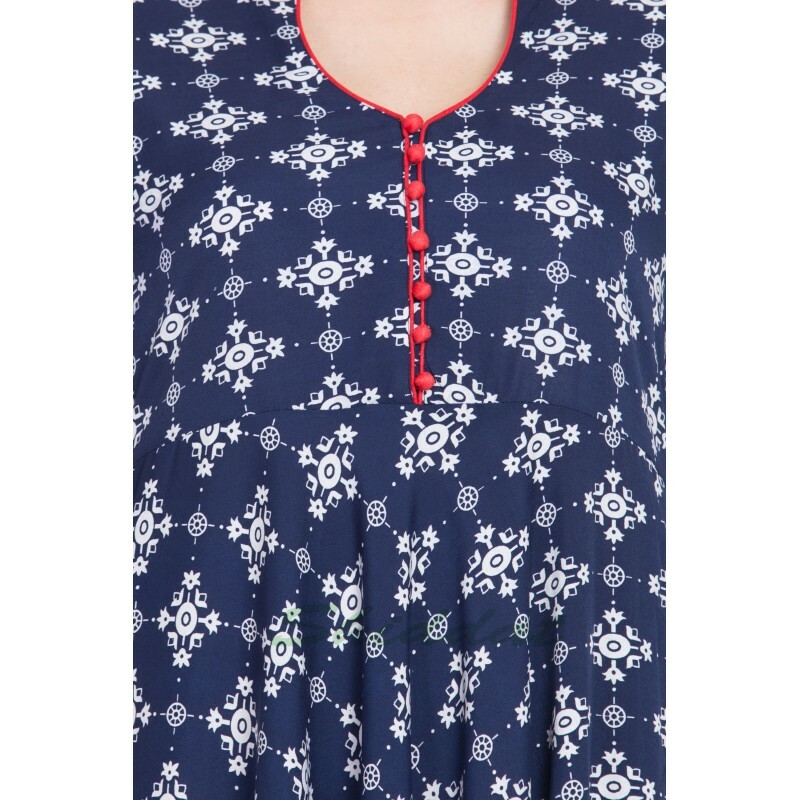 Cash on delivery as well as online payment for this Bue Georgette kurta for women is available. Also free shipping to any part of India. 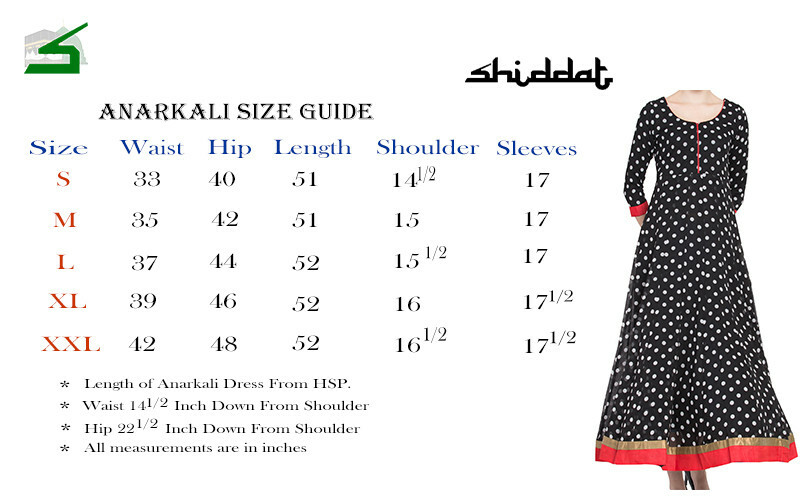 The product will be delivered within 5 to 10 working days from the date of order placement.